Location: Lafayette/West Lafayette IN, Purdue U.
I lived in L.A. for 8 years and still hold it in high esteem. I recently spent several months going through some 50,000+ photos from the USC Digital Archives* and the Los Angeles Public Library. Many of the photographs have a romantic quality to them. 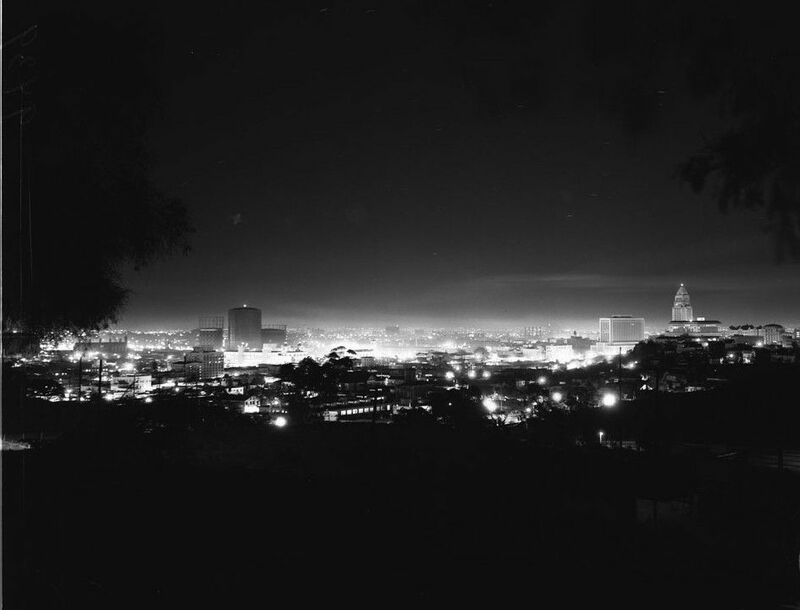 I always felt this was a 'noir' city, especially in the winter when the warm Santa Ana winds swept through the basin. I lived on Hancock between Santa Monica Blvd. and Sunset Boulevard in West Hollywood. Amazingly, the small bungalow where I lived is still there. 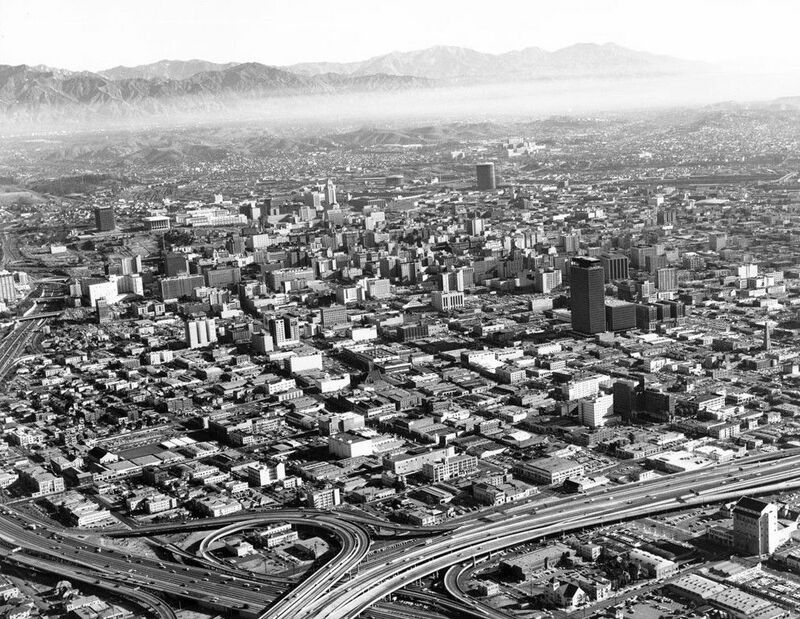 Here are the photographs of Los Angeles. I will continue posting them over the next several months. 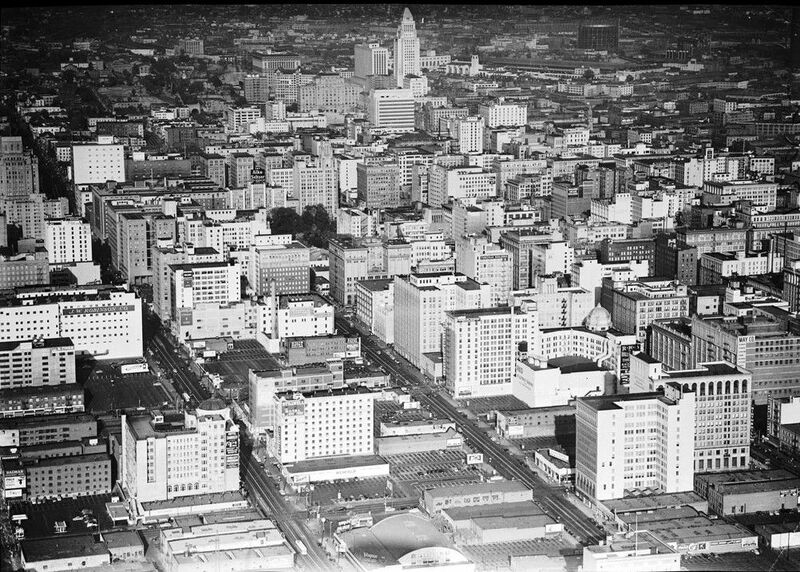 Please feel free to add any old L.A. photos you might have. can be found in the USC Digital Library <http://digitallibrary.usc.edu>, along with rights and licensing information." but the thread is still going strong & the majority of photographs remain. 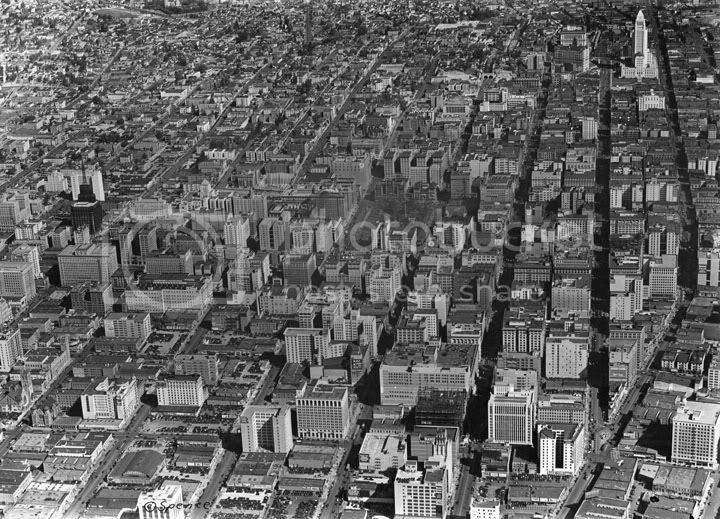 and a portion of Bunker Hill can be seen on the lower left. The year is 1951. 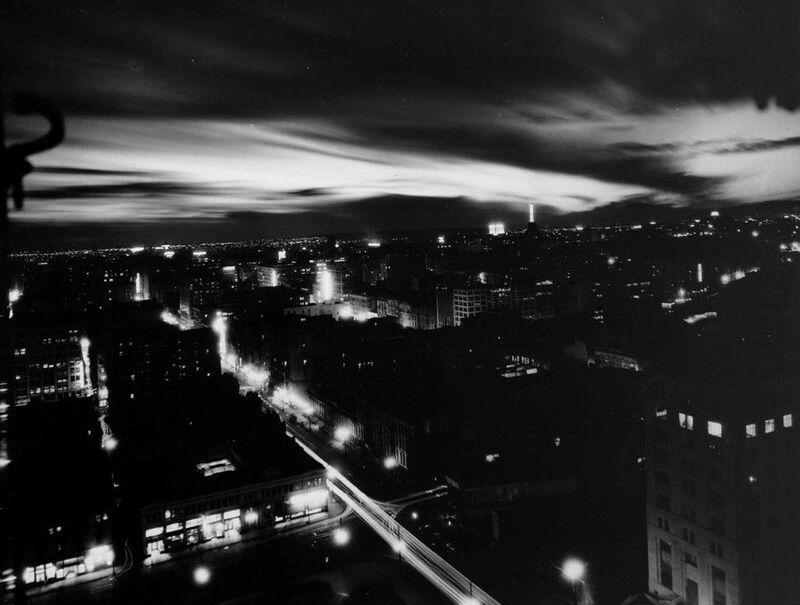 The Richfield tower can be seen in the distance. 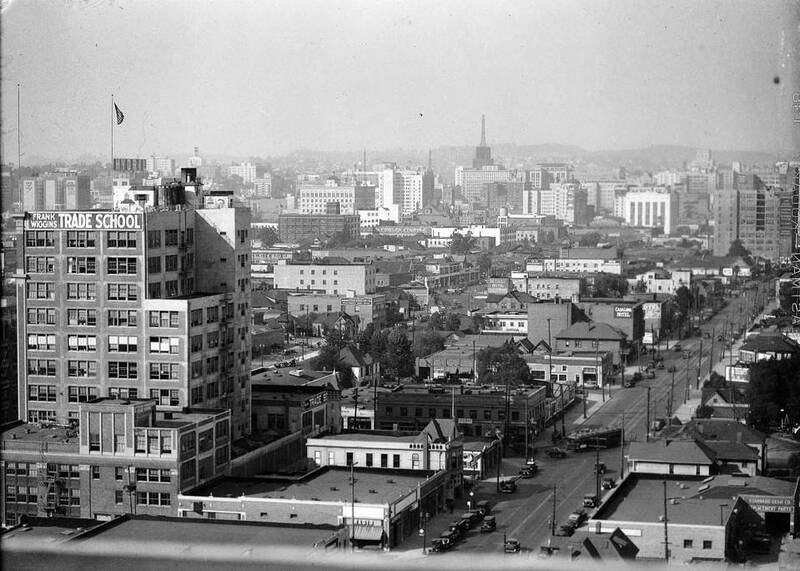 Downtown from the south in the 1930s. 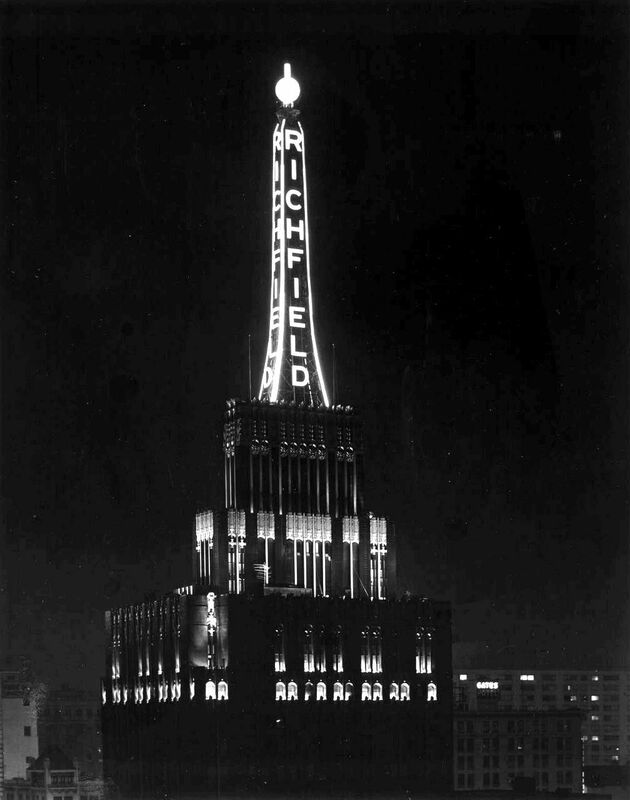 Note the Richfield Building in the far distance. Last edited by ethereal_reality; Mar 16, 2019 at 1:07 AM. 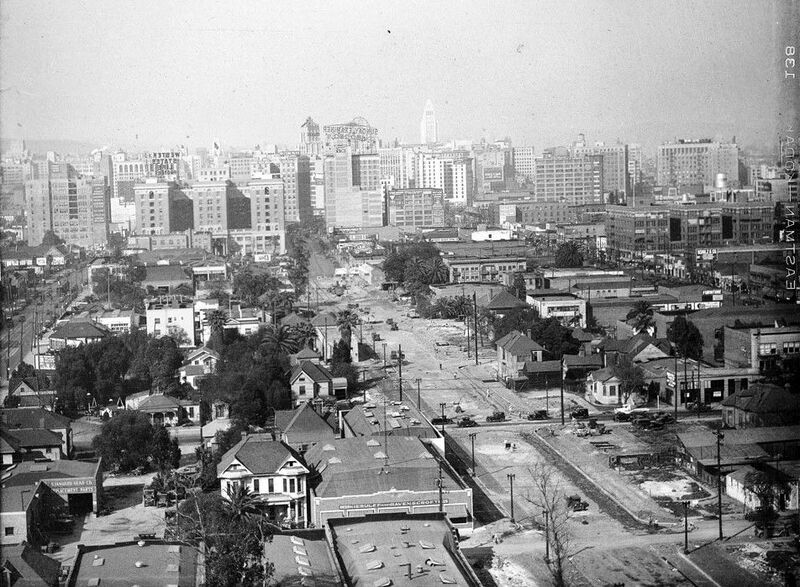 Downtown from the south 1929. Looks like street widening. In the distance, the Hall of Records on the left, City Hall on the right. 15 cent movies, hear every word. There are two buildings with domes in the foreground. Can anyone tell me what they are? Last edited by ethereal_reality; Jun 21, 2012 at 2:48 AM. 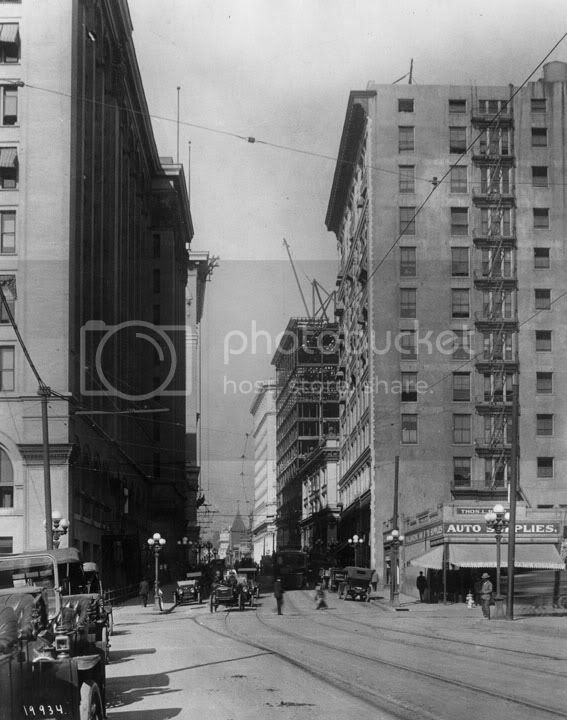 I believe the one on the lower left is the Embassy Hotel and Auditorium on south Grand Avenue. I don't know what the other one is. Last edited by sopas ej; Jun 11, 2009 at 3:42 AM. Oops I meant to post the other one, lemme correct it. Ok, now I understand. Thanks for the information sopas_ej. One of my favorite buildings, the Hall of Records. The photo is from 1950s. The Hall of Records west from City Hall, with remnants of Bunker Hill (or is it Court Hill/Ft. Moore hill?) in the background 1956. Anyone know what the solitary building on the left is? Hall of Records, with Rainier Pale Beer sign....very cool. Last edited by ethereal_reality; Jun 21, 2012 at 2:49 AM. The old Hall of Records was indeed a nice building. Too bad it had to be demolished. 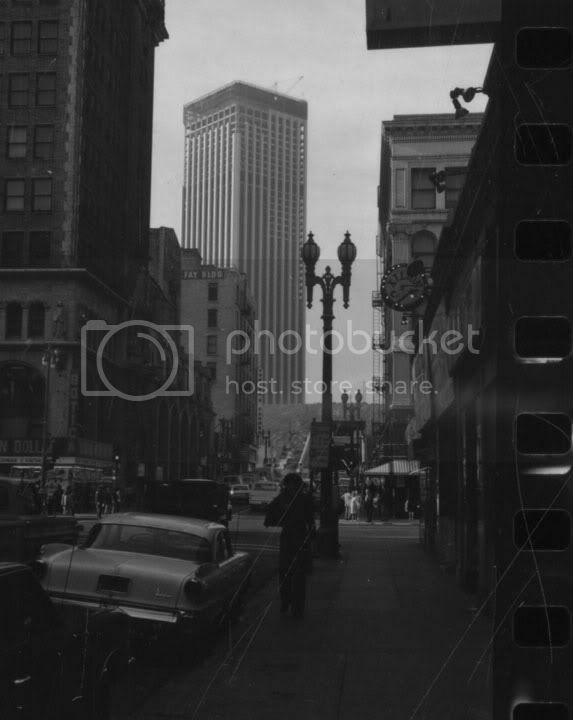 The Hall of Records west from City Hall, with remnants of Bunker hill in the background 1956. Sorry to veer away from the "noir" theme but I just wanted to show the evolution of the LA Civic Center. Thanks so much for posting these pictures. I very much appreciate it but it makes me almost ache to see so many of those buildings gone now. Is this the area they want to turn into a park? 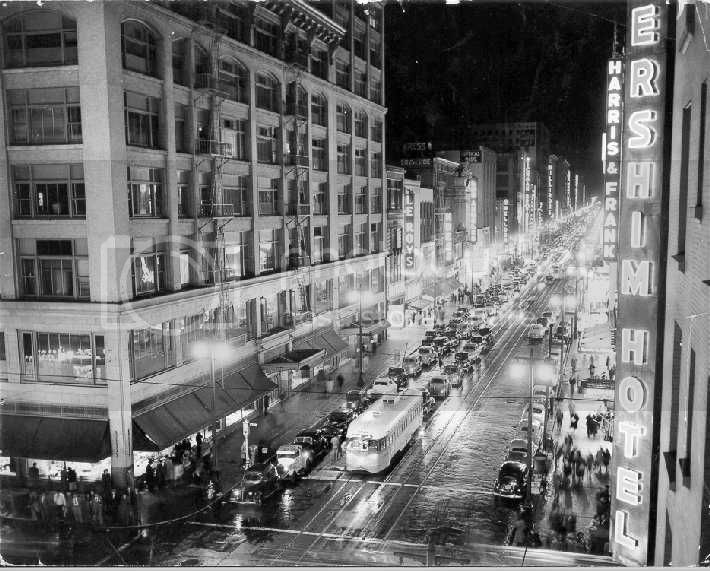 That photo of Broadway is unreal. 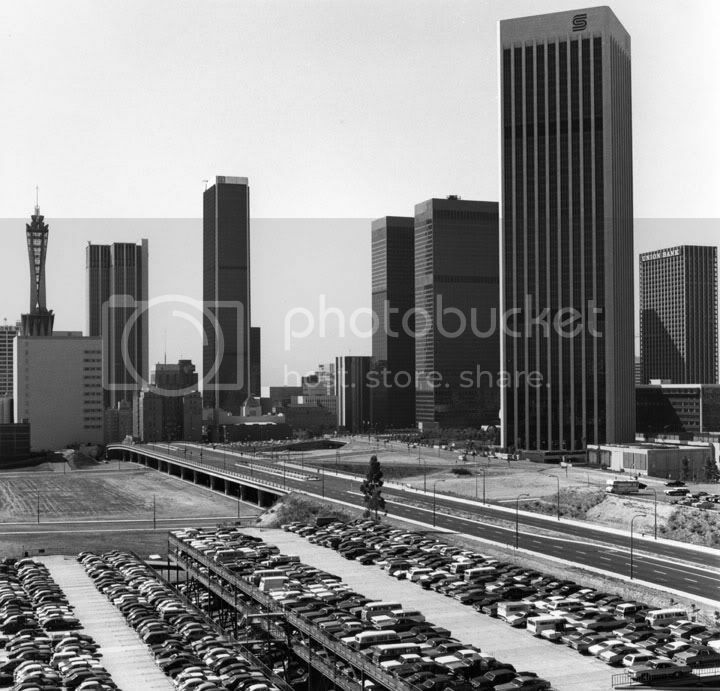 I like how the city used to look with City Hall as its tallest building. It looks quite majestic. 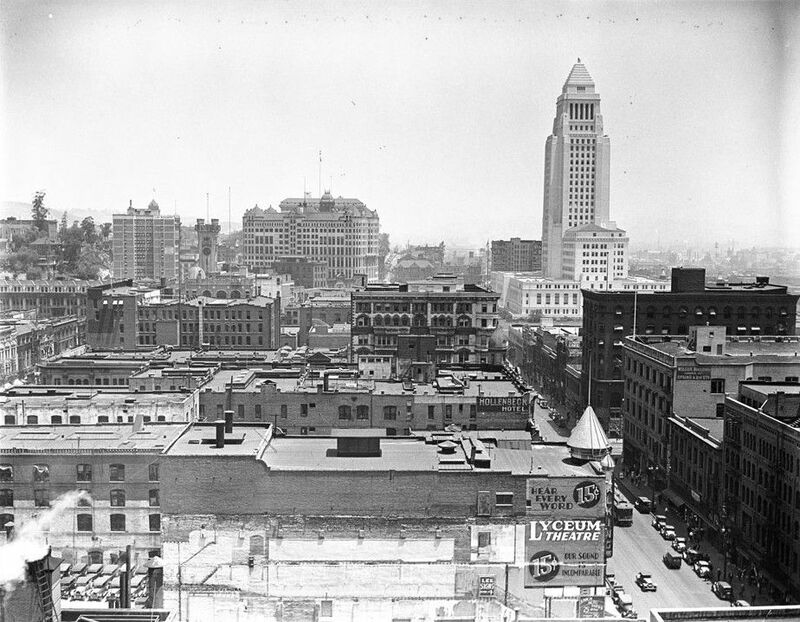 Here's another old photo from the LAPL website. Again, not film noirish; this time more like end of the silent-movie era/dawn of the talkies. It shows the plan to widen Spring Street near that now-demolished Hall of Records and old County Courthouse building. 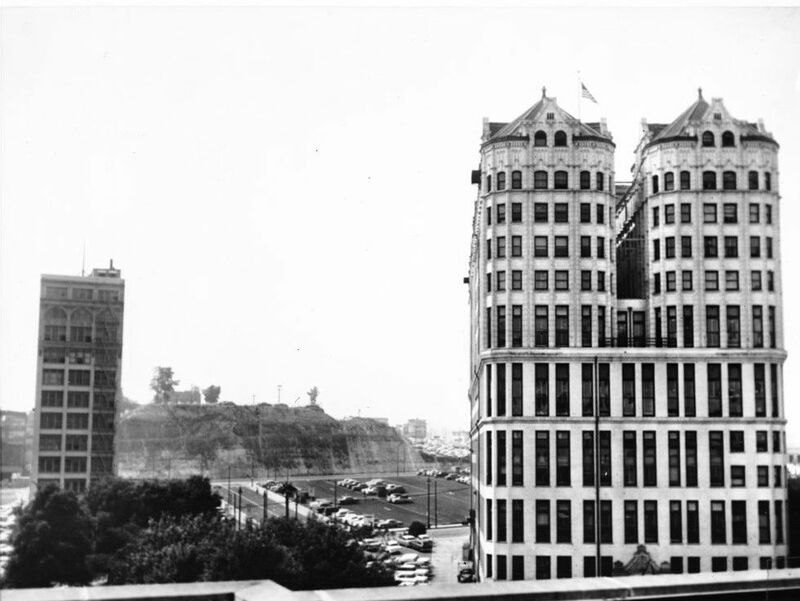 Here's the caption that goes with the photo: The gnarled hand of Time rips out a strip from the heart of old Los Angeles today, to make way for modern progress. Spring Street is to be cut through from Temple Street to Sunset Boulevard to create a new traffic artery, dooming the historic buildings crossed by the dotted lines marking the path of the extension and eliminating Justicia Street that goes up the hill at left. This street of memories, which was Buena Vista, "Good View," street in the past, and its hill that was the "Nob hill" of Los Angeles will be eliminated. The building first struck by the dotted lines is the old county jail. That just back of it is the old Hall of Justice. Photo dated: April 3, 1930. WOW this threads amazing !!! 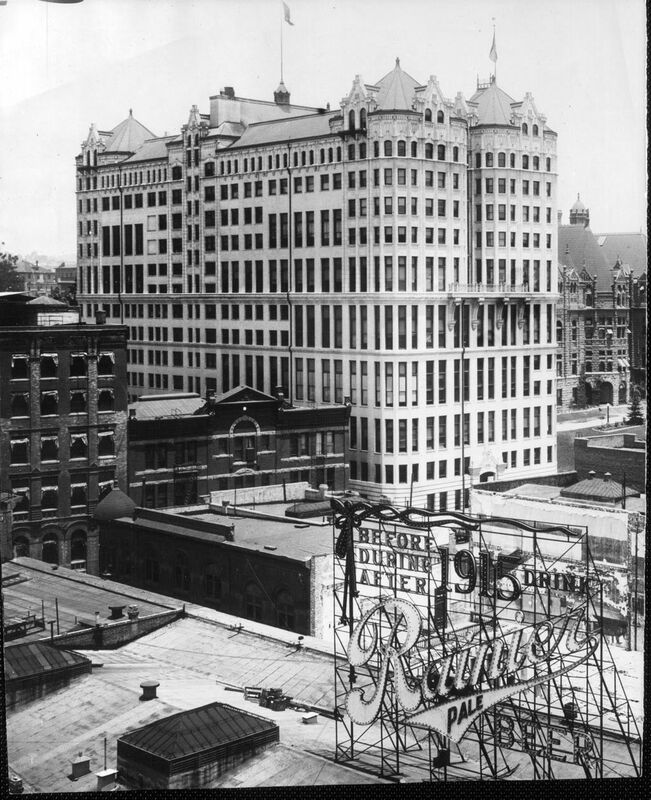 Ah, could this be the building you were asking about before, ethereal? 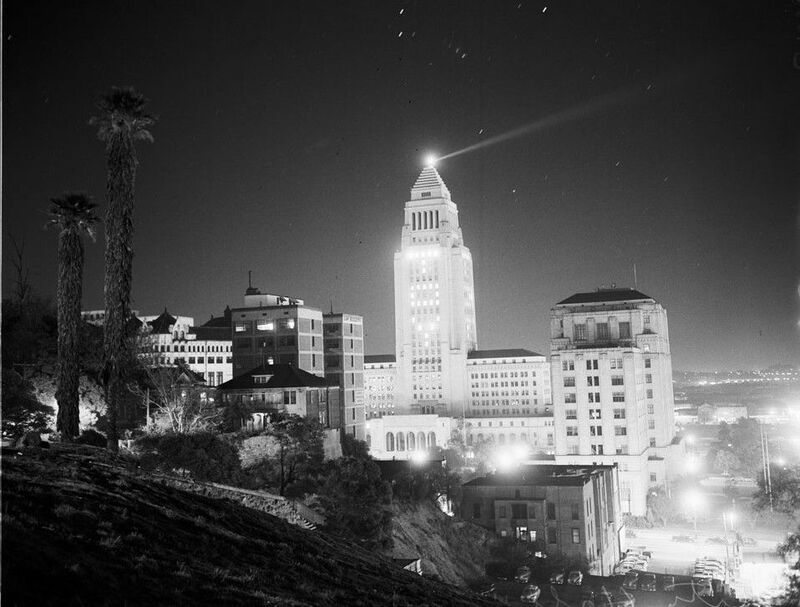 The LAPL website doesn't say what it is, except that this photo dates from 1951. Maybe it was filled with law offices? What a difference 10 years makes in scenery and fashions in clothes and cars! 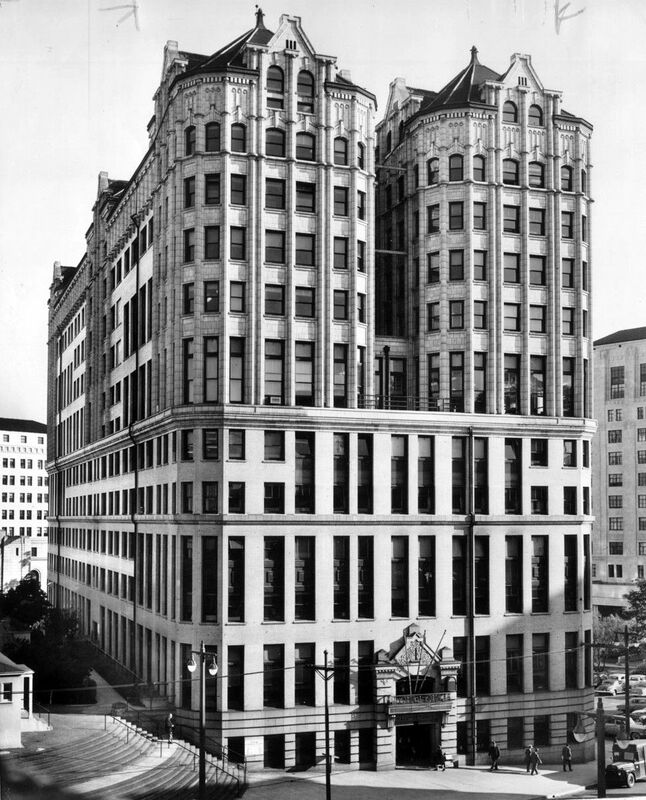 And see that Old County Courthouse that dates from the late 1800s in the 1930 photo? It was demolished and then temporary bungalows were built on the site to house the various courts; looking at other photos, it became a parking lot, and then eventually the site of the current Criminal Courts Building, or the Clara Shortridge Foltz Courts Building or whatever it's called now. ^^^WOW sopas_ej.....that's an amazing find. I've always wonders what the bungalows were doing in this area. So they were temporary courts. I would have never figured that out on my own. Last edited by ethereal_reality; Jun 21, 2012 at 2:51 AM. 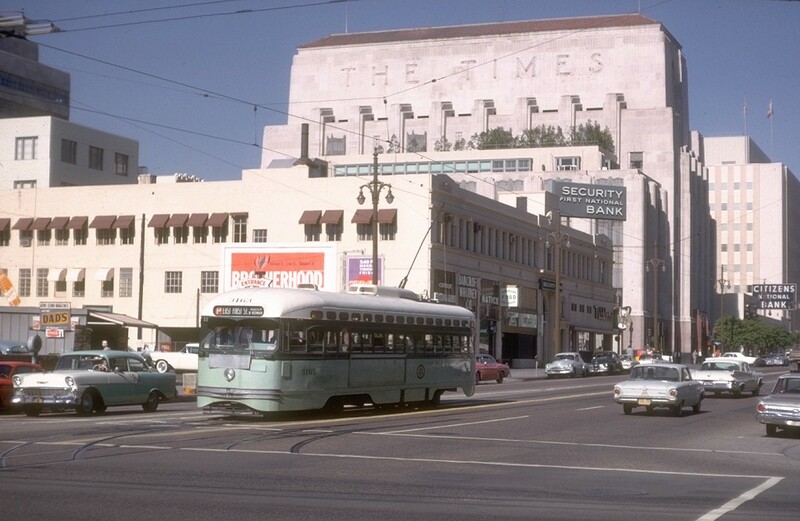 Some color photos, showing the LARY streetcar (NOT the Pacific Electric, which always gets all the hype). 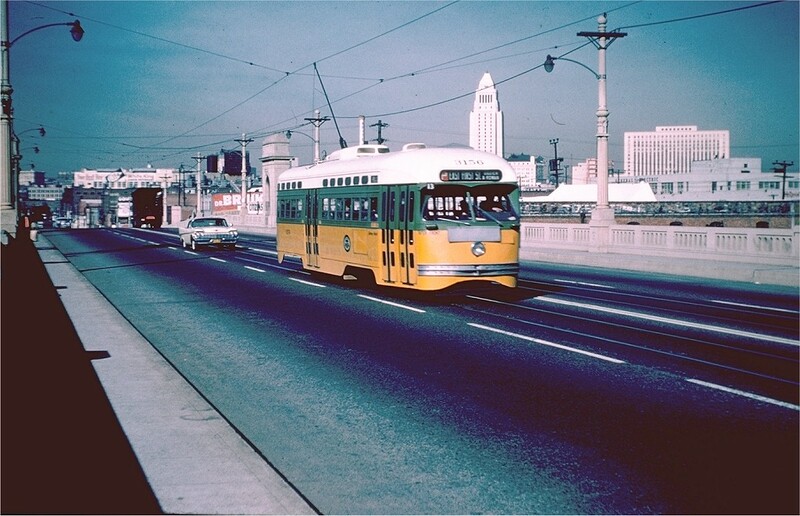 1963, crossing the 1st Street Bridge; rail cars once again will be crossing this bridge regularly with the Gold Line Eastside extension! Woo hoo! 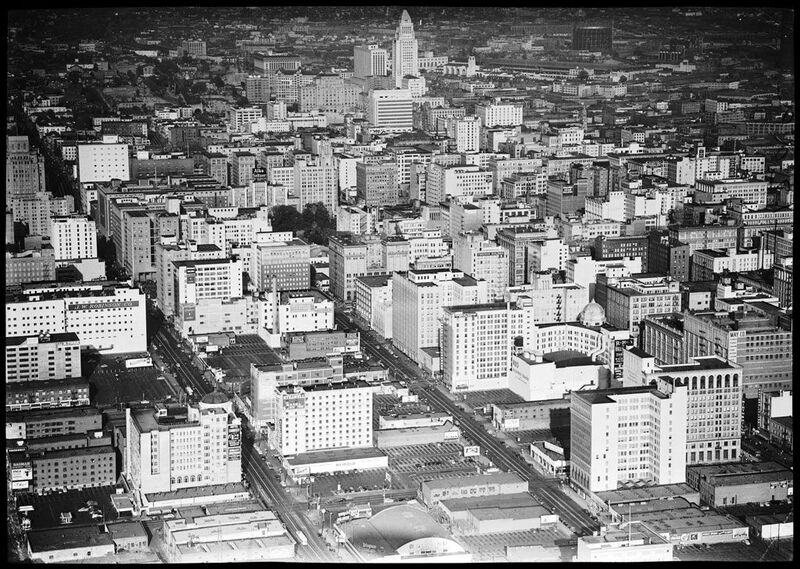 1963, headed down 1st Street; that block of course is now the site of the new LAPD headquarters.